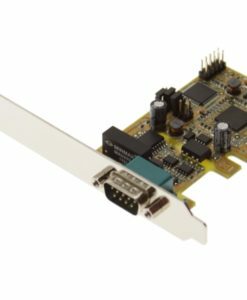 The U3-PCE 2-Port USB 3.0 PCI Express Card USB 3.0 provides a reliable solution for Desktop, Server and Thin-Client computers to connect to USB 3.0 peripherals over the new industrial PCI Express slot. Supports concurrent operation of up to 127 physical USB devices while maintaining all speed compatibility. The architecture of the U3-PCE multiple USB 3.0 2-Port PCI Express Card connection supports concurrent operation of up to 127 physical USB devices while maintaining all speed compatibility with USB 1.1 and USB 2.0. It supports USB 1.1 Low-Speed (1.5Mbps), Full-Speed (12Mbps), USB 2.0 High-Speed (480Mbps) and USB 3.0 Super-Speed (5Gbps), It also supports all USB compliant data transfer type such as Control, Bulk, Interrupt, and Isochronous Transfer. It is an ideal technology for external storage devices, digital cameras, webcams, scanners, and many more. 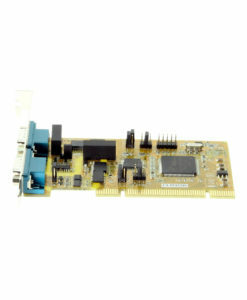 The USB 3.0 2-Port PCI Express Card function supports many popular devices, including digital video camcorders, hard disks, Pen Drives, CD-R, CD-RW, Camera and high-resolution color printers. With its complete hardware and software supports, the U3-PCE provides a true high performance I/O solution for users are demanding the USB 3.0 consumer and professional devices. 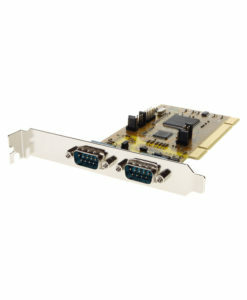 Fully PCI Express Base Specification 2.0 compliant. Supports up to 127 USB devices (USB 1.1, USB 2.0, USB 3.0 and the Hub Devices), including hard drives, Pen Drives, CD-ROMs, DVDs, Desktop Digital cameras, digital VCRs, high resolution color printers, scanners, Video Cable Set-Top Boxes, and more.